It would be easy to be alarmed. Right after General Curtis Scaparotti, Supreme Commander Allied Forces Europe, warned that the greatest risk was a lack of communication and mutual comprehension between Moscow and NATO, Russian Deputy Foreign Minister Alexander Grushko announced that all military and political cooperation with the Western alliance had effectively ended. This is undoubtedly not encouraging or helpful news, but is it truly a slide towards potential conflict? Or more a symptom of an underlying disconnect in relations? Grushko himself predictably enough admitted to no doubts as to why NATO-Russian relations were at such a low point, saying the alliance had "refused to adopt a positive agenda for its relationship with Russia. It just doesn’t exist. 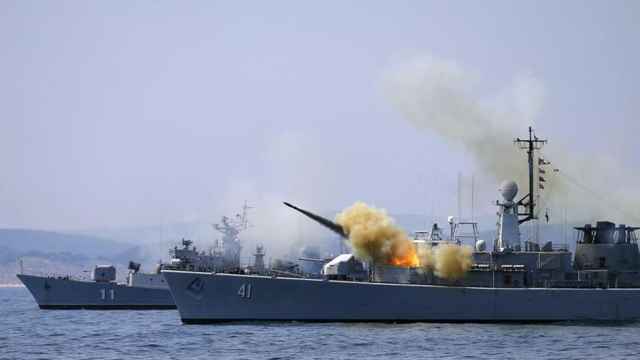 And so far, there’s no sign that anyone in NATO knows how to get out of this impasse." On the one hand, this is just disingenuous mischief. The annexation of Crimea, the intervention in the Donbas, the trolling, spying and assassinations in the West, all of these preclude any 'positive agenda,' and to express surprise at this is a little like a burglar, caught in the act of rummaging through someone’s jewellery box, complaining that they weren’t offered tea and biscuits. A determination to present any and all crises and disagreements as the result of Western Russophobia is one of the more familiar and more disagreeable tactics adopted by Moscow, after all. And yet Grushko wasn’t totally wrong in some respects. It is true that NATO has little idea how this stalemate can end short of the Russians being good boys and girls: withdrawing from Ukraine and the Donbas, stopping their interference in Western politics, and abandoning their more disagreeable allies and proxies such as Syria’s Assad and Venezuela’s Maduro, while they are at it. This may reflect international law in the former cases, common decency in the latter, but there can be no doubt that to the Russians this — rightly — would be considered capitulation. Alternative options such as abandoning the self-destructive drive for claiming global status, or seeking Kiev's and the West's price for recognition of Crimea's new status, solutions that may be considered admirably imaginative or, failing that, depressingly pragmatic, are not yet able openly to be discussed. So instead, Russia's only policy proposals are ones the Kremlin ought to know full well no Western leadership could possibly accept. We ought not to take all NATO’s rhetoric at face value, either. When, for example, NATO Secretary-General Jens Stoltenberg delivered a forceful speech in Washington recently, much of his language was intended for political impact within the Alliance. It was important to demonstrate NATO’s unity and resolution to a White House that combines warm gestures towards Putin with frosty disdain for a Europe it feels (not entirely unreasonably) does not pull its weight in its own defense. Stoltenberg’s key point, after all, was that "NATO has been good for Europe. And NATO has been good for the United States." At a time when Turkey is buying Russian surface-to-air missiles (even at the risk of putting its purchase of US F-35 stealth fighters in jeopardy), and when several Southern and Eastern European countries are looking distinctly faint-hearted in their commitment to mutual defence, there is a need to draw lines in the sand. Nonetheless, NATO does have genuine worries. The Russians love to point to the fact that the West outspends them on defence massively — 22-fold, Grushko said — but this is again disingenuous. In purchasing power terms, the Russians get substantially more for their ruble than a currency market comparison would suggest. According to an assessment by Richard Connolly, fully three times as much. Furthermore, a disproportionate share of that spend goes into distant theatres (especially the USA’s Pacific commitment). Finally, while in the longer term NATO could use its greater aggregate troop numbers and economic muscle to grind Russia down, Moscow’s forces are in a much stronger position to dominate in the crucial first couple of weeks of any European war. The Russian calculus is that there may not be a longer term, especially if it was able to threaten nuclear strikes or similarly-disabling precision conventional ones to bring a conflict to an early end. Of course, this is an essentially theoretical possibility, a worst-case scenario, but that is what defense planners are required to consider. There seems neither reason nor appetite for Moscow to seek such a conflict (quite the opposite), but especially for those NATO member states with historical or geographical reasons to look at Russia with particular concern, it is enough to think that Moscow could be thinking in those terms to assume that it is. Alternative options, explanations that may be considered admirably open-minded or, failing that, depressingly pragmatic, are not yet able openly to be discussed. So instead, NATO’s only policy agendas are ones based on Western assumptions about the potential threat no Russian leadership can seriously believe. The Kremlin genuinely believes that the West is hostile, committed to denying it the great power status it feels it deserves. It does not seriously fear any direct hostilities by NATO as a whole, but does fear attempts to disrupt and destabilize it, possibly as preludes to limited interventions by a coalition of nations united by particularly implacable hostility to Russia. At least as important, the legitimating narrative of the current regime is based on the claim that the world is a dangerous place for Russia and Russians, requiring unity, discipline and self-sacrifice. Thus, Moscow both regards NATO as an intrinsically hostile alliance — which it is, if not necessarily aggressively so — but also is driven by political needs to present the situation as worse than it is. Likewise, NATO as an institution, and most member states, truly regard Russia as a threat, and this is hardly difficult to understand given the aggressive tactics the Kremlin has adopted, even if largely because it considers itself assailed by a richer, more powerful alliance. The image of Russia as a direct military challenge has also become a powerful instrument to encourage unity, justify pressure for greater defence spending, and repair fraying transatlantic ties. To this end, NATO often must use rhetoric that exaggerates the real nature of the threat. The particular tragedy is that these are self-sustaining processes, vicious circles of mutual hyperbole and hysteria. Russia looks at NATO responses such as the forward-positioning (relative handfuls) of alliance troops in Poland and the Baltics, and sees the chance that this is a challenge. It responds with heightened rhetoric and, feeling its deterrent mettle is being tested, responds with some initiative of its own, such as moving further forces into Kaliningrad. NATO, disconcerted by the Russian response to what it considers a limited and purely defensive move — as a few hundred infantry here or there do not an invasion force make — and pushed by political imperatives, presents this as a new threat. And so the cycle of move and countermove continues, accelerated by the sharp-toothed rhetoric used by both sides. Both sides affirm that they would like to see tensions lowered and lines of communication opened. 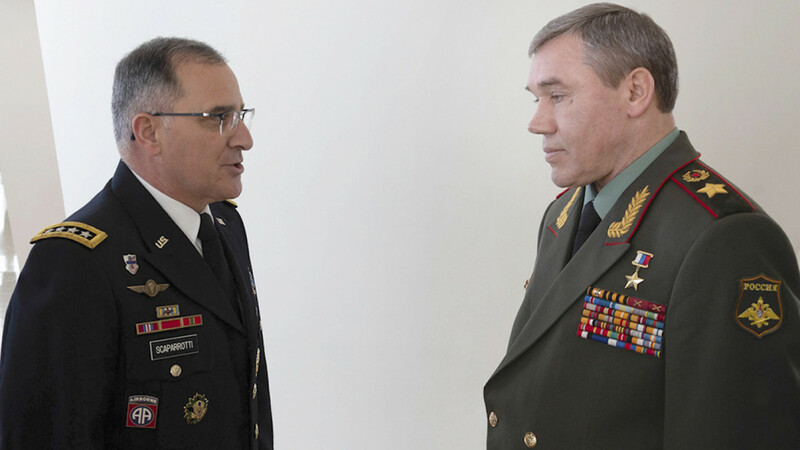 Grushko wants his positive agenda; Scaparotti "personally think[s] communication is a very important part of deterrence," and wants to see more. In fairness, both sides probably genuinely want this. But how? Neither side feels the other will accept any compromise that is anything short of effective surrender. The particular tragedy is that both sides appear to think time is on their side. The West believes in due course economic pressures and political discontent will encourage the Kremlin to compromise. 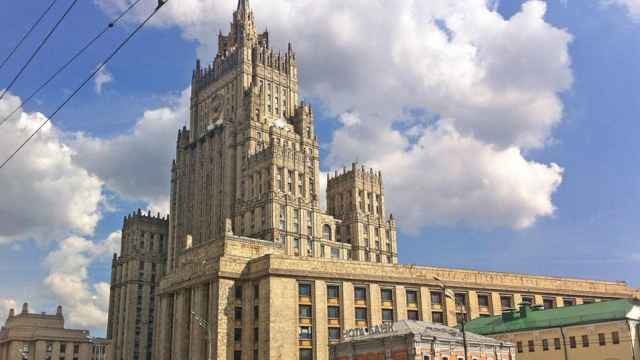 But Moscow believes that divisions and democratic societies’ lack of ability to accept costs and maintain focus will fragment Western unity. Neither side feels the other will accept any compromise that is anything short of effective surrender, and with both believing that the longer the confrontation drags on, the greater the chance of victory, then there is no likelihood of progress. What could break the deadlock, short of dramatic political change on either side? Sadly, most initiatives are at present politically unacceptable on one side or the other, whether offering some kind of soft acknowledgment of the annexation of Crimea in return for disengagement from the Donbas, or the abandonment of Moscow’s claims to an essentially unrealistic and mythical great power status. The tragedy is that neither side finds the current confrontation too expensive or dangerous to be able to sustain, and thus, absent pressure for real change, the silent shouting match of mutual intolerance and incomprehension will continue. This article was first published by Raam op Rusland. 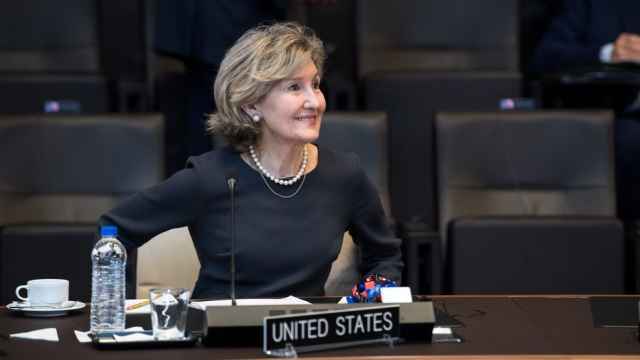 U.S. ambassador to NATO says Washington was prepared to consider a military strike on Russia's banned cruise missile system. Russia views NATO’s eastward expansion and deployments in the Baltics and Eastern Europe as a security threat. 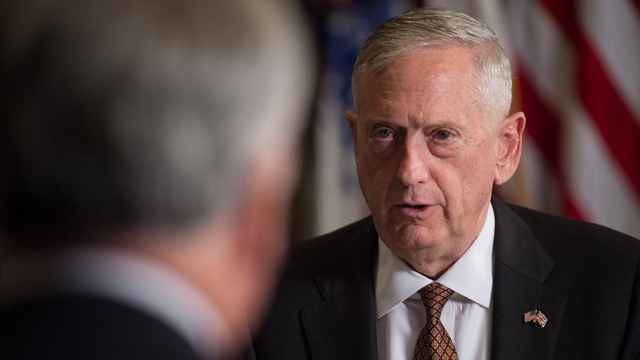 U.S. Secretary of Defence Jim Mattis will seek broad agreement for the plan in Brussels on Thursday.